SINGAPORE, September 19, 2018 – Yesterday evening saw the onset of a fresh new concept for blockchain meets – 11 projects pitching their best in the face of blockchain heavyweights, all within a span of 11 minutes. Hosted by WXY Group and co-organised with Singaporean blockchain consulting firm Talenta, the chatter-filled, cosy PM affair was a breath of fresh air amidst the recent trend of stiff, corporate blockchain summits. 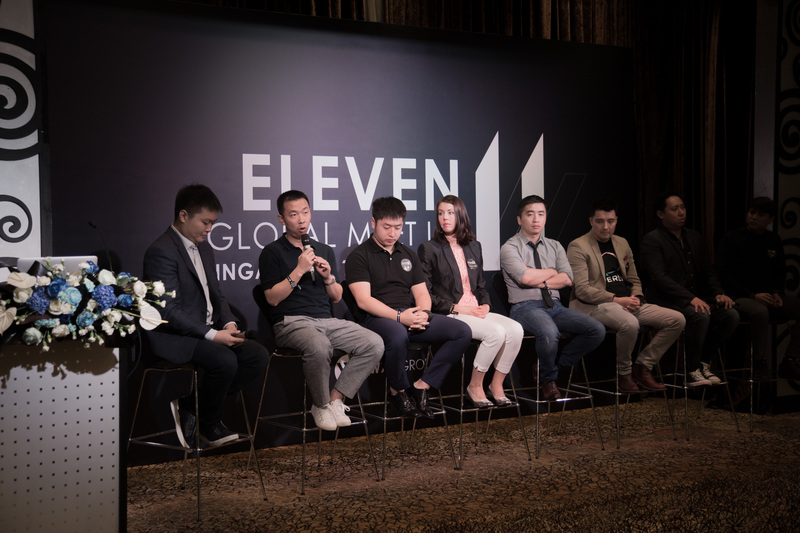 ELEVEN officially began with opening speeches by Dr. Duncan Wong, Founder and CEO of CryptoBLK & ABE, and Daniel Wen from ONTology. Following that, 11 blockchain projects took to the stage to pitch their best: Nervos, Laya.One, MatrixOne, Hazza, DREP, TrustVerse, IDA, ArtBlock, QiiBee, PChain and ONO. Mr. Ken, Managing Director of blockchain-centric media platform BlockAsia. The jovial panelist segment saw riveting debates revolving around the positive impacts that global emerging markets will potentially have on the future development of the blockchain industry.